Join our Canadian reinsurance company and experience the passion it takes to empower and advance our mutual insurance community! We currently have an amazing opportunity to join one of Kitchener/Waterloo’s top employers as a Facultative Underwriter within our Reinsurance Department. Within this exciting position, you will have the opportunity to join a culture that prides itself on being honest, transparent, believes in delivering on their promises and is committed to doing what is right. The Facultative Underwriter will perform a range of functions for the Reinsurance Department with respect to property and casualty underwriting. The role focuses on the underwriting of facultative reinsurance placements and contract special acceptance requests. In addition, assistance is provided in the maintenance of reinsurance programs. Analyse property & casualty reinsurance risks and determine whether to assume or decline. Negotiation, pricing and placement of facultative reinsurance. Ensure facultative applications submitted are in accordance with Member Company contractual agreements, and investigate variances. Review and evaluate risk assessments ensuring compliance with established Farm Mutual Re guidelines. Provide guidance on the interpretations of policy wordings, manual rules, underwriting guidelines and rates. Research and assist in the development of reinsurance solutions. Assist in the research for product, pricing and risk selection criteria in support of reinsurance programs. Compose and prepare correspondence to Member Companies and reinsurers, and other letters/memos as required. Liaises with Member Companies and business partners (OMIA, reinsurers) in the areas of property and casualty reinsurance including other reinsurance contracts. Acts as contact/resource person for various business partners, providing clarification/information of Members’ underwriting practices, manual rules/guidelines, securing good communication and excellent working relationships. Attends seminars, conferences and courses relating to underwriting trends, issues and education, as required. Develop reports for Farm Mutual Re’s Reinsurance renewals as required. Solid technical knowledge having 3 to 5 years of prior related experience. A college diploma or an equivalent level of education is required. Working towards Chartered Insurance Professional (CIP) designation. Excellent communications skills both written and oral. The ability to analyze facts, compare data, information and input from a variety of sources and select appropriate conclusions. An active team player who actively collaborates with others. Recognized as a Top 20 Employer for the Kitchener/Waterloo region and as one of Canada’s Greenest Employers by the Canada’s Top 100 Employers competition, Farm Mutual Re has been operating since 1959. 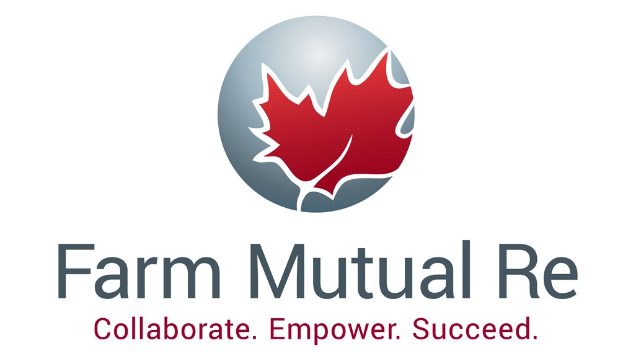 Farm Mutual Re is a general reinsurer, sharing in the property, automobile, liability and other risks originally accepted by insurance companies operating principally in Canada and the United States. But…we are more than a reinsurer! We build deep-rooted relationships that drive trust and success. Our relationships are the foundation that helps us empower and advance the mutual insurance community. We take pride in giving back to our community and the environment. We hold ourselves accountable for the promises we make to our members, employees and business partners. At Farm Mutual Re, not only are we invested in the success of our mutual community but we believe that our employees are our greatest asset. Our office is in Cambridge, Ontario off the 401 in a state-of-the-art, environmentally friendly building. Our employees enjoy perks that include complimentary access to an on-site gym, yoga classes, ping-pong table and mini-massages. Our culture is supportive of achieving a balanced, healthy and family-oriented lifestyle. In addition to a great working environment, we invest in our employees continued professional development, offer a competitive salary, employer-paid benefits, pension plan and more. Don’t miss this opportunity to join our team. Visit our website and complete our Employment Application by Friday, November 2nd, 2018. Farm Mutual Re is committed to providing accommodations and to achieving a barrier-free workplace for individuals with disabilities. Should you require an accommodation to participate in our recruitment process, we will support you by considering your individual accessibility needs.